Introduction: What is the Swagbucks opportunity about? 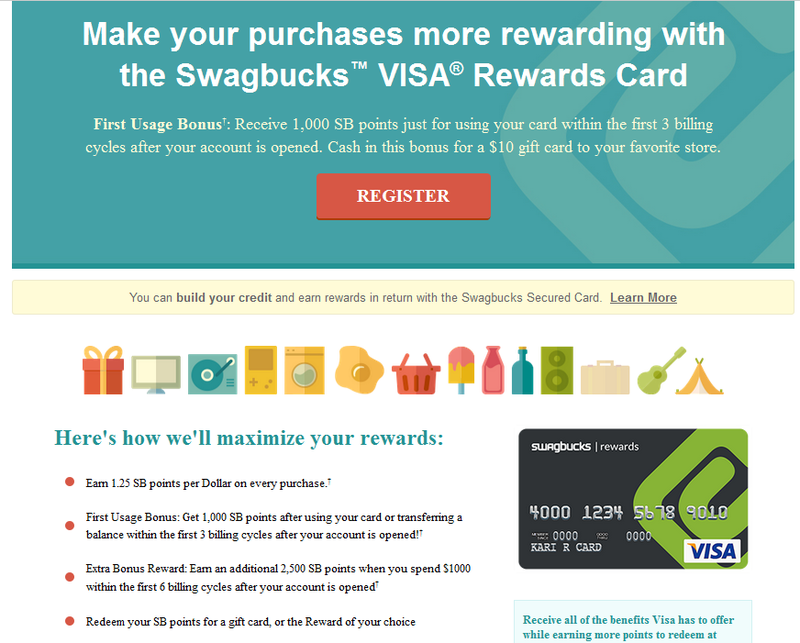 Swagbucks is an online rewards program. 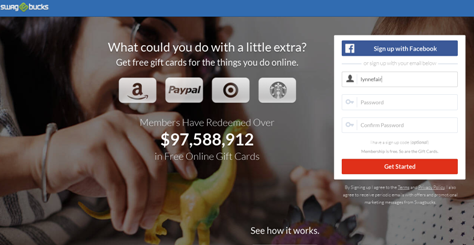 Swagbucks offers a variety of ways to make some extra money online. There is no join up fee or costs involved. They appear to be legitimate and have a good reputation online. I have read numerous reviews which are very positive about Swagbucks and I have not come across many negative comments. Swagbucks is owned by Prodege, a digital services provider. Prodege also has content distribution platforms Yowgo and nCrave as well as SodaHead which is an online polling platform. According to Wikipedia the Swagbucks.com website was ranked by Alexa as the 153rd most visited website in the Us and the 675th most trafficked website in the world. Membership is free, however their are also 2 paid membership options if you would like to have more earning potential. You can pay $4.99 per month for Accelerator which will match up to 700 Swagbucks per month or you can pay $7.99 per month for Accelerator Plus which will match up to 1500 Swagbucks per month. Going for the paid membership options is really only a good idea if you are planning on spending a lot of time and effort using Swagbucks. If you don’t match those points you are then paying for nothing and get no value from your paid membership. What are the different ways you can earn through Swagbucks? Shop and get Cash back. Shop through the SB website and you will earn SB on every purchase made. Search to earn SB. Make them your search engine and earn every time you search online. Download the Swagbucks browser and use it just like you would any other search engine and you will earn while you search. Just remember not to expect the same results as when you use Google! 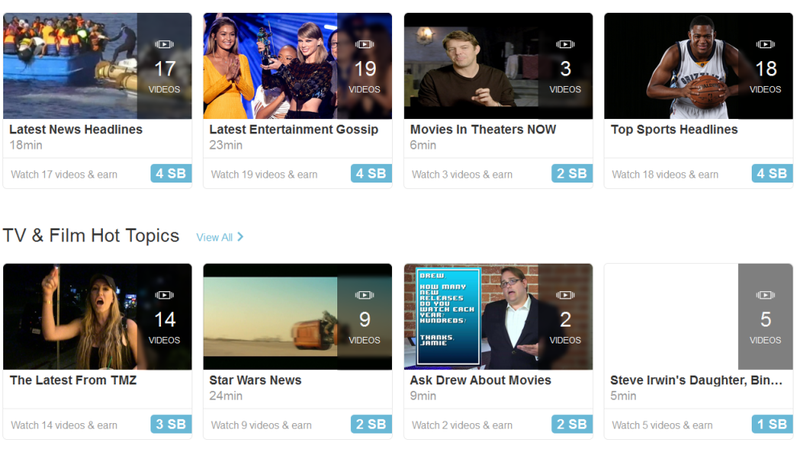 Each video has an amount of SB that you can earn and it shows how long the videos are. Earn SB by playing online games. Just a quick note on playing the games, from what I can see this option is the least paying one and takes up the most time. Watch out for wasting your time here and not earning much in return. Perhaps this is one to give a miss if you are really wanting to earn something? 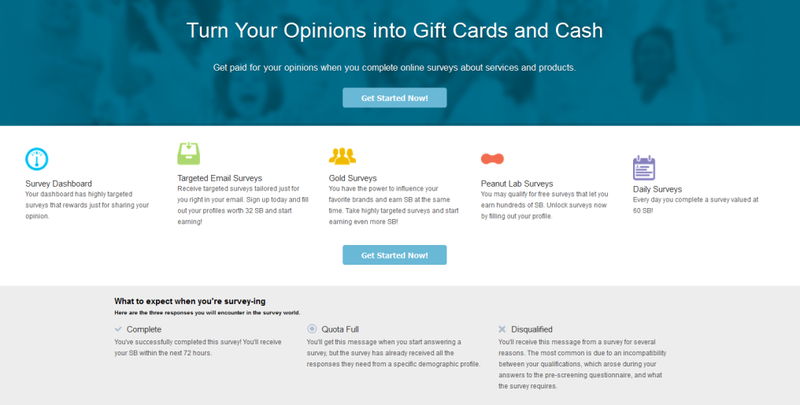 Take Swagbucks surveys and earn. Discover deals through and earn if you take up any of their offers. Get a Swagbucks credit card and earn every time you spend money. If you take out a secured credit card you will earn even more. If you opt for a Gift Card you can cash out 450 SB for a $5 Amazon Gift Card which appears to be the best option at the moment. If you want to get cash via Paypal 1000 SB is $10. You can start using Swagbucks from 13 years old! Bonus for teenagers looking for pocket money! As mentioned above I have read numerous reviews on Swagbucks and the general feedback is that they are reputable and legitimate. They are an honest company and I like that. I have come across no negative feedback regarding their payouts or practices. I find them to be totally legit and above board. The question I would like you to answer for yourself though, is this really worth your time? Yes you can make money and yes it is legitimate, however if you take the example of watching an 18 minute video above and you earn 4 SB you will need to watch 250 of these to make $10. At 18 minutes a video this works out to 75 hours to make your $10. Essentially you are making R0.13 per hour to do a task like this. If I can’t make a living doing this can it make a substantial difference to my monthly income? Am I doing something worthwhile, something valuable? Can I call this a career? The answer to every single one of these questions are NO, I can’t. This is playing games, watching videos and filling out mindless surveys for hardly any reward. So for me personally this is not something I want to try out, it is a waste of my time. I am looking for something rewarding in monetary terms and my sense of self-worth. However that said I can certainly see how people will find Swagbucks attractive and lots of fun. I am sure students that have no income and plenty of time on their hands would have fun playing games and watching videos for rewards, why not? A bored housewife, go for it! However if you are serious about making online this is not for you, it will frustrate you and irritate you. Have you used Swagbucks and what has your experience been? If you have any questions or feedback please leave a comment. If you want to make a REAL income click here to see how I make money online! Can you Make Money Typing from Home? SwagBucks! Did you know that I came across choosing out to put in my effort in SwagBucks or Wealth Affiliate before I joined WA? After looking on lots and lots of review, I made my decision in joining WA! And upgraded as a premium member today! So initially, SB and WA are both free, and SB will cost me nothing at all and I’ll be able to earn little by little from time to time. But, It’ll cost me if I’m to join as a premium WA. But I made the choice in joining WA! Cause I saw my future with WA, as SB is just a platform to hangout and enjoying my time! I’m impassioned to learn, and I’m looking for online career! That’s why I joined WA and I’m here today! Glad to hear you made a choice where you can actually make money and spend your time worthwhile. I am sure that Swagbucks is fun and helps a few people a little extra money. But is certainly is not about really making money. Enjoy your journey with Wealthy Affiliate! I love that Your review seems to be as objective as possible, and weights all the pros and cons. Very good use of images as well. I tried Swagbucks myself and I was not convinced, and Your review answers a lot of questions a lot of internet users would ask themselves, making their lives easier. Thanks for visiting! I am glad you enjoyed my review. 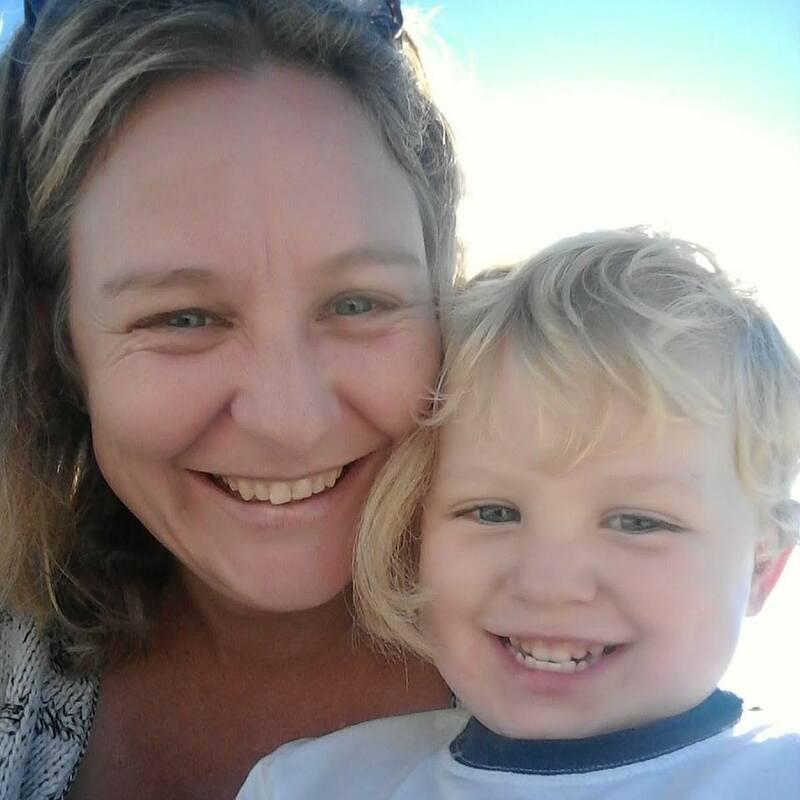 I do try and keep it objective and I am well aware that some people are keen to just earn a little bit of extra income and Swagbucks would be great for those people. For me, I am looking something better and much for lucrative than that. Have a look at my review of Wealthy Affiliate for a really great way to earn money online. In my opinion sites like yours are integral to newbies trying to make money online. An honest review like yours is going to save some inexperienced person ,trying to earn money online, lots of time and wasted effort.I was that person a few times when I first started exploring online opportunities and reviews like yours could have saved me lots of wasted time. Still am a newbie but moving in the right direction now because of honest thorough reviews. Well done. I am so glad you have enjoyed my reviews. A lot of people have asked why I rate a lot of the opportunities I come across so low, it is simply because I see nothing of real value in them. We all want to make real money, not pocket money! That is what we are all really searching for. Unfortunately most of the things I come across are just pocket money opportunities, scams or time wasting ventures. When I find something worthwhile I do give a great rating, check out my Wealthy Affiliate review for a good example. People want to know how to make money online and I hope to give honest and realistic reviews to help others make up their minds. I am glad you enjoyed the review, I hope you enjoy Swagbucks and find what you are looking for. Please come back and let us know what your experience is like! Thanks for taking the time to review Swagbucks. You’ve saved me a lot of time doing it myself. Yes, there are a number of outfits on the Web that are not outright scammers, but really, who actually benefits from joining their program? I can’t imagine anyone persistently working with them for a pennies an hour. It seems to me that they make their money by attracting lots of people who diligently work hard for them for weeks or months until they realize it just isn’t worth it. Even if that isn’t a total scam, it’s pretty scammy, and borders on a Ponzi scheme. Spot on! I am looking for real opportunities to make money online. If I can make more money working part time in a restaurant serving tables than I can doing something online I don’t believe it is worth it for me. I came across Swagbucks as well when I was looking for online surveys opportunity. It is indeed a legit and reputable company from what I gathered, but it is simply not a plan for long term career. I enjoy watching some videos and hunting for deals here and there, so it still comes in handy as a time killer sometimes. I totally agree, it is not a long term solution to making money online. Even though Swagbucks are reputable and you can make some pocket money there are much better options for making money online. Hi Lynne, so glad to see your feeling better! I’ve heard of swag bucks many times before and I always come to the same conclusion, the same conclusion as you. I really don’t want to waste my time watching videos and playing games! But, if this is what someone does all day anyways, why not make money doing it. I really like the way you did the math of how many videos you would have to watch to make a couple “real dollars”. Great job Lynne keep it up! Hi Richard, so glad you enjoyed my Swagbucks review 🙂 I always have to add up how many tasks I have to do and how much time it will take me. I can’t help it, time is money and if I will be making so little I would rather spend my time doing something much more valuable to me… like play with my children! Swagbucks is one of those very few programs you can make money from and this is fact. But like you say, it’s very specific opportunity that is not for everyone. If you are looking for some extra pocket cash that’s ok. If you are trying to make a living then Swagbucks is sure not the right choice. When it comes to the program you recommend as your #1 recommendation I tried it and it was a very solid program that can help you make a full time income. Swagbucks is definitely not my cup of tea. ach person is looking for something different. While I might rate an opportunity quite low, I try and explain why and what I look for in an online business opportunity. Even the name of my website should give it away. I look for an online BUSINESS opportunity, not a way to earn some pocket money. There are however lots of people looking to make a few extra dollars each month, Swagbucks will then be a great opportunity! Great review. Most people are always stuck with only two facts when going through reviews of online opportunities; scam or legit. They would consider joining in if it’s legit and reject it if it’s a scam. What you have shown us today is a different perspective from a different angle – an opportunity can be legitimate and valueless at the same time. That’s what I see here at SB. I really do not understand the thinking behind spending so much time for so little. One could have a good time here watching videos and playing online games but SB should not be considered as an online business opportunity. It must be somewhere you go to when you want to take a break from making money online else where. So glad you enjoyed my Swagbucks review. I try my best to be objective and at the same time keep in mind that my goals are not always the same as my readers. Lots of people think Swagbucks is the answer they have been searching for, yet for me I think it really is a waste of my time! Different strokes for different folks. Wow I have always heard of swagbucks but i never actually knew what it was. This is a very informing post and really helped me get a hold of this whole swagbucks thing. Thank you fro the very valuable information and I will definitely share to my friends so that they can know about swagbucks. Hi Nathan, glad I could help you understand what Swagbucks is all about! Thank you, it will be great if you share with your friends. This is new to me as I have never heard of swagbucks. I guess it is not very credible since you have only given a 25/100 rating. Even more surprise that it is under your Good category instead of Bad. This is a very comprehensive review of Swagbucks, your really put in a lot of time to write this. I agree that its definitely legit and yes, they do pay but man, the compensation is very low. With that much time we put in online, it is much better if we focus more on building an online business where we can keep growing to make a full-time income. Hi Riaz, thanks for your input. My sentiments exactly. Swagbucks really is a lot of effort for such a little return! Your swag bucks review was really thorough as are all your reviews and I agree with you that it’s hardly worth the time to earn the pittance of income you end up with. That said my sone signed up with them. I found this out recently and this was several years ago. I don’t know if there is an min. age requirement to participate either. What I do know is that he had a lot f free time and used it on this Swagbucks site. His payout turned into free music downloads for his xbox and guitar strings. Both were things he didn’t have money for because he was too young to get a job. I admired his tenacity to ultimately get what he wanted. But then it begs the question, does Swagbuck’s affiliates know that their viewers, survey takers etc.. could be 14 year old kids? You have raised a really good point here. I think that for a teenager with lots of free time and not much money will love messing around online to earn Swagbucks! I’m sure affiliates must be aware of this, who else would put so much effort in to make such a little money? Swagbucks reminds me of a similar website that I tried before. It’s called Clixsense. Have you tried that? They’re both legit alright but it takes ages to earn anything substantial so I quickly lost interest. I will not want to waste my time on such websites again. It’s just not worth it and certainly cannot be considered a career. Yes I had a look at Clixsense and reviewed there here. I also found it a waste of time, but just like Swagbucks lots of people really enjoy that sort of thing! Did some check, Chuck Davis is the CEO and the chairman. I didn’t try, but Swagbucks seem to be quite popular, my friends included lol! Anyway, the amount of time needed to invest in just to get that amount of virtual currency doesn’t seem worth it. In fact, a waste of time would rather use the time on something more meaningful! Yes me too, even sleeping or doing nothing seems more valuable to me. I have two young kids and never have time to myself. I would find it more beneficial to just do nothing rather than waste my time for such a small amount of money! Hi Lynne, I must admit I like your take on Swagbucks review for a couple of reasons. I guess in a strange way I find it somewhat comforting to know, not every company out there is only about how much they can scam. I can see how attractive this scheme could be – watch a video, fill out a survey, make money. You hit it when you evaluated it based on earning and career potential, and whether or not you were doing something worthwhile. I wonder how many people looked past the “easy” money, and got to what really matters. Thanks for helping your readers make better choices. I am glad you enjoyed my Swagbucks review! That is what this is all about, trying to help my readers understand exactly what is on offer so they can decide whether this is something that they will enjoy or not. Thanks for bringing this information to me. I have heard of this company and although you say they are legit, I agree that the earning potential is not worth your time. I think it was pretty much the same with the survey sites. Do you remember? 20 minutes to complete and $2 at the end. I also notice that the ownership information is not available at the moment and that would kind of put me off too. Are there other programs out there along similar lines but with better payout rates? Thanks for the read, I enjoyed your website. Well there is Qmee which is a search loyalty program but you will earn even less I think. I am earning a tiny but f extra income from Clixsense but once again it is nothing to get excited about. If you want to work online and make some real money I suggest you rather set up your own website and do something like affiliate marketing. There is some really good money to be made doing this. Check out my review of Wealthy Affiliate for more information.